The data management platform will integrate into Cadreon, which is IPG Mediabrands' existing real-time marketing and programmatic buying unit. 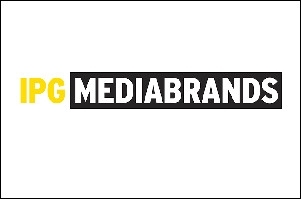 In a recent announcement, IPG Mediabrands India has partnered with international technology company MediaMath to launch a data management platform (DMP). The data management platform, will integrate into Cadreon, which is IPG Mediabrands' existing real-time marketing and programmatic buying unit. Increasingly, customers are demanding unique brand experiences with personalised messaging at the right moment. But one of the biggest challenges today is the gap between the "planning and buying" audiences and the audiences who actually engage with the brands. Amar Deep Singh, CEO, Interactive Avenues, says in a press release, "By using a DMP, we will be able to activate and adapt communication on a real-time basis to match the speed of the target audience. Data will be at the centre of all marketing activations and marketers will be able to control the campaign in terms of better targeting, better communication, etc., on a real-time basis. Lastly, DMP will use machine learning and data science to drive responsive audiences to close the loop. The DMP will enable us to acquire new customers, re-engage lapsed customers and upsell and cross sell." He further adds, "After evaluating various data management platforms, we decided to partner with MediaMath because their solutions fit best with our needs." MediaMath has also launched the MediaMath Audiences product in India, which is built on the backbone of real-time consumer behaviours across the web, and has proven to drive superior performance. This enables three possibilities for marketers in India: lookalike audiences, targeted audiences and audience scoring. Rahul Vasudev, managing director, MediaMath APAC, says in a press release, "We are excited to partner with IPG Mediabrands for their data management business in India. Their vision for this space, and ambition to bring data to the core of all digital media decisions for their clients, is state of the art and something their clients will really benefit from." Vasudev adds, "Through the DMP, we are helping clients optimise their prospective campaigns with lookalike audiences at scale, and to boost their remarketing campaigns with informed scoring. Targeting past site visitors isn't enough these days. We enable clients to adjust bid strategies and messaging based on customers' actual online activity across all devices and channels."